WASHINGTON Seventeen-year-old Kelsey Raffaele's last words were over a cellphone to a friend: "I'm going to crash!" The car she was driving had clipped a snow bank and spun into oncoming traffic, where it was T-boned by an SUV. She died at a hospital without regaining consciousness. Police chalked the accident up to mistakes made by a novice driver, unaware that she had been on the phone at the time. Her phone was found later in the back seat, and the possibility that distracted driving might have been a cause is missing from statistics kept by police and the federal agency that compiles crash data. Crash deaths in cases where drivers were on the phone are seriously underreported, according to a recent analysis of state and federal data by the National Safety Council, an advocacy group. The underreporting makes the problem of distracted driving appear less significant than it actually is, and impedes efforts to win passage of tougher laws, the council says. The group reviewed 180 fatal crashes from 2009 to 2011 in which there was strong evidence that the driver had been using a cellphone, in a study paid for in part by Nationwide Mutual Insurance Company. Of the 2011 crashes, only half were coded in the National Highway Traffic Safety Administration's accident database as involving cellphone use, the study found. That was still better than previous years: Only 8 percent of the 2009 crashes examined were coded as involving cellphones, and 35 percent in 2010. Even when drivers admitted to authorities that they were using a phone during an accident in which someone was killed, about half the cases weren't recorded that way in the database, the council said. The safety administration's database shows more than 32,000 traffic deaths overall in 2011, the latest year for which complete data are available. But only 385 are listed as involving phones. "We believe the number of crashes involving cellphone use is much greater than what is being reported," said Janet Foetscher, the safety council's president and CEO. "Many factors, from drivers not admitting cellphone use to a lack of consistency in crash reports being used to collect data at the scene, make it very challenging to determine an accurate number." The safety administration's database is the bible of traffic crash statistics, but it depends on accident information gathered by states from police reports. "Most people assume unknowingly that if it is federal data, it must be accurate," said John Ulczycki, the council's vice president. The council's analysis found large variations among states in the reporting of phone-involved fatal crashes. Tennessee, for example, reported far more fatal crashes involving cellphone use than any other state  93 in 2011 and 71 in 2010. California, the nation's most populous state, reported only 22 fatal crashing involving cellphones each of those years. New York, which has three times as many people as Tennessee, reported only one cellphone-involved fatal crash in 2011 and 10 in 2010. One reason for the underreporting is that unless a driver, passenger or witness tells police a cellphone was being used, officers who respond to crash scenes may have no reason to investigate that possibility. Police are usually required to get a subpoena in order to obtain cellphone records. "Can you imagine going through a subpoena process just to check a box on a form when you already have someone for running a red light and causing a fatality?" said David Teater, the council's senior director of transportation initiatives. Even when such records are obtained, they must align with the precise moment of the crash  a moment that isn't always known. 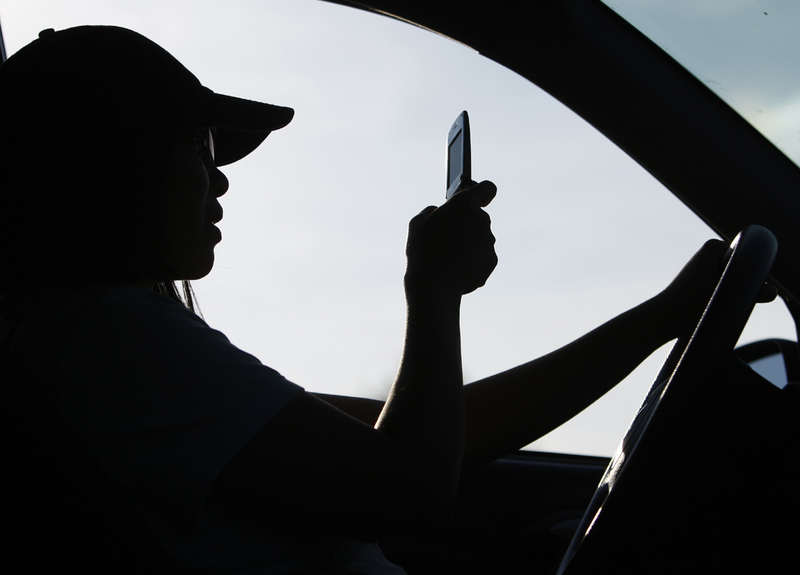 NHTSA has acknowledged weaknesses in its distracted driving data and says it's been working with states and police to strengthen reporting of accidents involving distracted driving. So far, 35 states have told the Governors Highway Safety Association, which represents state highway safety agencies, that they have adopted model accident reporting forms that include a box for officers to check whether cellphone use was involved. Reluctance to admit the behavior, lack of witnesses, and in some cases the death of the driver all make it hard to collect full information, the agency says. "That's why we're working with states and law-enforcement agencies to add more precise categories to police reports," NHTSA Administrator David Strickland said in a statement. Kelsey Raffaele's mother, Bonnie, began lobbying the Michigan state legislature for tougher restrictions on cellphone use by novice drivers a year after her daughter's death in January 2010. She said some legislators told her the problem wasn't that big, pointing to the federal data. "Every time I testified I would tell them Kelsey's crash was not reported as cellphone use, and she's just one of thousands of other crashes that are not on the books ... as being cell-phone (related)," said Raffaele, of Sault Ste. Marie. "I would tell them, `The statistics are much higher than you think they are.' "
Raffaele eventually won the changes she sought. State laws are a patchwork. Ten states and the District of Columbia require hands-free phones if a driver is going to make calls. No state bans all cellphone use for all drivers, but 36 states and D.C. ban all cellphone use by novice drivers. Currently, 39 states and D.C. ban text messaging for all drivers. An additional 6 states prohibit text messaging by novice drivers. Most American teenagers are told not to text and drive, but the evidence is millions are not listening, CBS News correspondent Wyatt Andrews reported. In an analysis of a 2011 survey done by the Centers for Disease Control, 46 percent of drivers at age 17 admitted they texted while driving, a number that rose to 52 percent for drivers over 18. The survey alarmed the research team because of evidence that distracted driving - including texting - is now the leading single cause of teenage fatalities. The National Transportation Safety Board, which investigates accidents, has urged states to ban all drivers from texting, emailing or chatting on a cellphone behind the wheel except in emergencies, saying the practices are simply too dangerous to be allowed. It may not be possible to ever get complete reporting of cellphone involvement as long as reliance on driver admission is a factor, the safety council said. Instead, the council is urging NHTSA to study whether it's feasible to develop a way to estimate cellphone-distracted crashes. The government already makes national estimates on drunken-driving accidents where data are lacking.